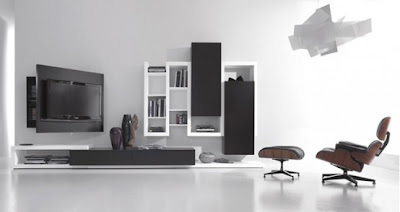 Creative Side System is beautiful and stylish black and white color theme furniture from italian company Fimar. This furniture comes for complete your perfect living rooms and bedrooms decoration. 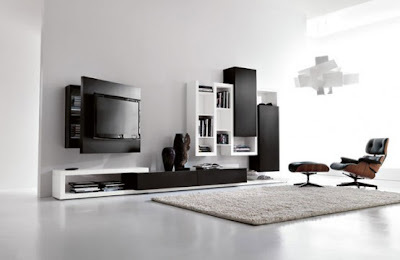 This furniture just designed with black and white, contrasting combination and original location of wall mount cabinets and shelves this living room furniture looks very modern.Although the main feature of this lacquered furniture set is a functional black tv stand. 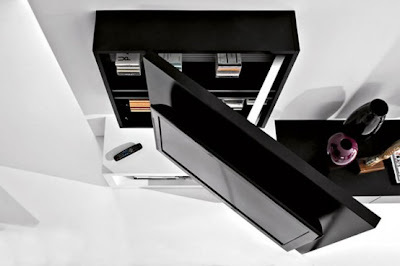 Its slide construction allows to hide a lot of stuff behind the Tv and not spoil the stylish interior design by colorful disks and other items. 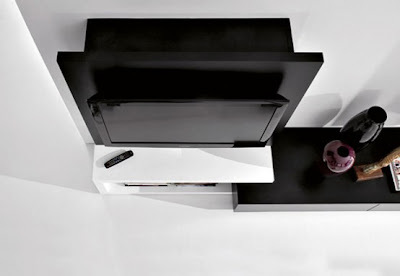 Besides you could hide all cables and plugs in such wall mount tv stand. The construction is very solid and can be fit even for big TV panel.